Rose and Dean Sklar of Coldwell Banker Residential Real Estate, have been recognized as the Top Weston Sales Associates for the past 11 consecutive years, earning the prestigious Coldwell Banker Legends Society since 2011 and Recent Accolades, achieving the Coveted Society of Excellence Designation for FOUR consecutive years, placing the Team in the Top Less than 1% Nationwide. This year, 2018, They have ranked #1 in all production in Broward County for Codlwell Banker. “Their commitment to excellence has resulted in great success. Rose and Dean’s business shines as a tribute to their dedicated customer service, marketing knowledge and exceptional negotiating expertise. We are extremely proud of their accomplishments.” Clark W. Toole, President, Coldwell Banker Residential Real Estate. What makes Rose and Dean Sklar Top Achievers year after year? They live, work, play and network in Weston, and have for over a decade. Dean, who is a PGA Golf Professional for over 25 years, and a local member the Weston Hills Country Club has developed an exclusive group of high profile buyers and sellers with great connections and global reach. Rose’s expertise in marketing and sales has propelled this team to international recognition. Rose and Dean recently celebrated their 30th wedding Anniversary. Raising two children in Weston’s “A’ rated schools has helped to grow their network of personal connections. “We are very proud of the accomplishments of our children in the Weston schools! Our daughter Paige is now a Musical Theatre graduate from the Boston Conservatory, now living in Manhattan and working toward her dream of a career on Broadway. Their son, Cody is now attending college at The University of Miami, pursuing a Business Degree and planning on taking on The Sklar Team in the future as Next Generation Selling. Rose and Dean bring the world to your door with global marketing to over 925 websites daily. Their customized and targeted marketing plan has proven results, year after year, selling properties in less days on the market, for higher prices. Through a partnership with the Sellers, and a team of professionals including full time Assistants, Stagers, Handy Person’s, and Virtual Tour Photographers that get properties sold. "Thank you so much for your help in the sale of our home. We understand that all was well with the sale completion yesterday, and appreciate your guidance, and financial contribution to some of the improvements. We found you easy and friendly and helpful to work with, and will certainly pass on that impression should it come up. Thanks again! Sarah and Steve Petri"
"Dynamic duo! Couldn't be more pleased with our decision to have Rose and Dean help us sell our home!" ""Rose and Dean Sklar are excellent realtors and great people. I would very highly recommend them to my family and friends. They are true professionals at the top of their game, and they understand and have clear expertise in Weston and South Florida. When my husband received an out of state job opportunity, the Sklars immediately tapped into their extensive network to find a family who was looking for a home to rent with features just like our home had. After a successful rental, we let Rose and Dean know we were ready to sell our home, and they once again used their network and great marketing to find us a buyer. They guided us every step of the way. Our home is now sold and we are thrilled with the service we received from Rose and Dean and their staff. Rose and Dean are a real estate team that you want to have on your side. They have always gone "above and beyond " for our family, and we are forever appreciative. " -Cristina, Client "
"Rose and Dean Sklar are excellent realtors and great people. I would very highly recommend them to my family and friends. They are true professionals at the top of their game, and they understand and have clear expertise in Weston and South Florida. When my husband received an out of state job opportunity, the Sklars immediately tapped into their existensive network to find a family who was looking for a home to rent with features just like our home had. After a successful rental, we let Rose and Dean know we were ready to sell our home, and they once again used their network and great marketing to find us a buyer. They guided us every step of the way. Our home is now sold and we are thrilled with the service we received from Rose and Dean and their staff. Rose and Dean are a real estate team that you want to have on your side. They have always gone "above and beyond " for our family, and we are forever appreciative. " "We have known Dean and Rose since 2010 when we bought our first house in Weston - they were the listing agents. In 2013, when we purchased another home in Weston to accommodate our growing family, we bought another house listed by Dean and Rose. In both cases we were impressed with Dean's and Rose's ability to negotiate and make the deal happen. When we decided to move again in 2016, this time we decided to have Dean and Rose represent us in both selling our house and buy a new one. That was a great decision. As expected, Dean and Rose went the extra mile to get us the best price for or house - they have a great support team - excellent staging services and other professionals - and know the Weston Market better than anyone. We ended selling our house for top dollar and finding a great home for our family. They will be our agents when we decide to sell our home in the future." "Rose and Dean make an incredible team. They are extremely professional and well connected in the Weston market. Their knowledge and relationships were instrumental in us finding and successfully closing on our new home. I'd highly recommend Rose and Dean if you are buying or selling a home. They are the best agents in the Weston area, no question. " "This was so helpful and easy! Do you have any arltcies on rehab?" "My experience with Rose and Dean was amazing. They were very pleasant to work with, completely professional, and they guided us from the moment we listed our home, all the way through to the final closing. They were very attentive and caring, they even provided me with a stager to help "de-clutter" our home and get it ready to show. After our home sold, they even took the time to make sure I found a rental as well.....Rose and Dean REALLY know Weston, and I am so happy I used them as my realtors!!!! Michelle Gusky Fellman, Weston Hills CC "
"Rose and Dean Sklar are amazing realtors as well as very smart and kind professionals. They are experts in Weston Real Estate and, along with their excellent support team, handled every aspect of our home sale perfectly. They went above and beyond the call of duty for us and guided us through every step of our transaction. There is no obstacle that they cannot handle and overcome. They truly care about their clients as customers and as people. They are professional and skilled in both selling homes and helping buyers find new homes. They will really go to bat for you and their local market knowledge is amazing. I would very highly recommend them to anyone looking to sell or buy a home in Weston and the South Florida area. Chris & Christina Fullen, Weston Hills CC"
"Amazing experience working with Rose and Dean! They provided top notch service, expertly guided us every step of the way and were always available to answer any and all questions. They were also very patient in helping us find exactly what we were looking for. Above all, they are truly genuine people who really wanted us to find the right home for our family. Highly recommend to anyone buying or selling. Windmill Ranch Estates"
"Dean and Rose are the BEST we've ever experienced and we have bought (4) homes and sold (3). From start to finish they were engaged and always available day or night (weekends too)! Their knowledge of the communities and house market intelligence are second to none! Their honesty, integrity, service and professionalism are what made this so enjoyable. They made us feel like they couldn't do enough for us and had or got answers to all of our questions. They even followed up with us a week after the closing to ensure all was okay! Truly Exceptional from start to finish!! Savanna to Weston Hills Country Club"
"These were the best realtors ever! As soon as we told Rose what we were looking for, she immediately brought us to a property that was not even on the market yet! It was/is the perfect home for us. Not only that, but she really worked for us to get us the best deal and continued to negotiate on our behalf. They both stayed on top of the details of the deal and pushed the other professionals to get everything done so that the property closed on time. The Ridges, Weston"
"Rose & Dean Sklar are what I would call full-service real estate agents. They start by working with you to get your house properly prepped. They have points of contact for everything and multiple contractors that are available to both give estimates and start/finish projects on short timelines for reasonable prices. My house was sold in less than 2 months from the list date at a good price. Unfortunately my air conditioner died right before the home inspection but they were able to arrange for the installation of a new air conditioner at a low price in less than 2 weeks enabling closing to happen on schedule. Dean was very responsive to my inquiries and their entire team was always available. Did I mention that I had already moved to California so they handled everything for me since I wasn't present to do anything myself. They are clearly the premier agents for the Weston, FL real estate market. 1800 Water ridge, Waterford Landings"
"My husband and I have transacted 6 residences with Rose & Dean over the past 11 years. We know they will work tirelessly to find the exact match for us as well as members of our family. They are punctual, they return calls, they respond to questions and always negotiate as favorable a price as possible. The personnel in their office are also professionals who work exceptionally well as a team and are available to answer any questions that may arise. Rose and Dean will sell your home or find you a new one or both. Give them a chance, listen to their advice and you'll be a satisfied client, just as we are." "The Sklar Team is the best! While working with Rose & Dean between 2005 - 2012, we bought two homes, sold two and found a rental in between. They are good listeners and find the best available properties based on current market sales. What I like most of all is their follow up and always keeping you informed. The Norton's Weston Hills Country Club, Orchid Island"
"Easy to work with. Always on top of all details. Questions answered immediately. House sold in a week. Highly reccommend Rose and Dean for any home sale large or small. 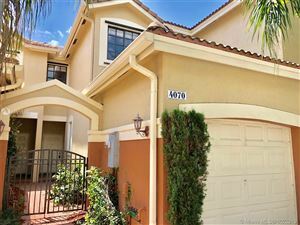 Bonaventure at Weston, Florida"
"Rose and Dean are an absolute pleasure to work with. We truly enjoyed the home buying experience. It was very stress free and we will consider using the Slkar team in the future as well as recommend them to family and friends. Purchased in Weston Hills Country Club, Montclaire"
"Rose and Dean found a buyer for our house in one day and helped us get top dollar for our house! They were great to work with throughout the entire process and were true professionals. You can't do better that the Sklar Team, everyone was wonderful and couldn't have made selling the house any easier. I highly recommend them for any real estate transaction. "